Hello Friends! I am so excited to announce that I am going to be a part of the Let’s Face It -2019 Team! This will be my fourth year and the line up of artists is outstanding!!! Seriously amazing! LET’S FACE IT is a course created and hosted by Kara Bullock. 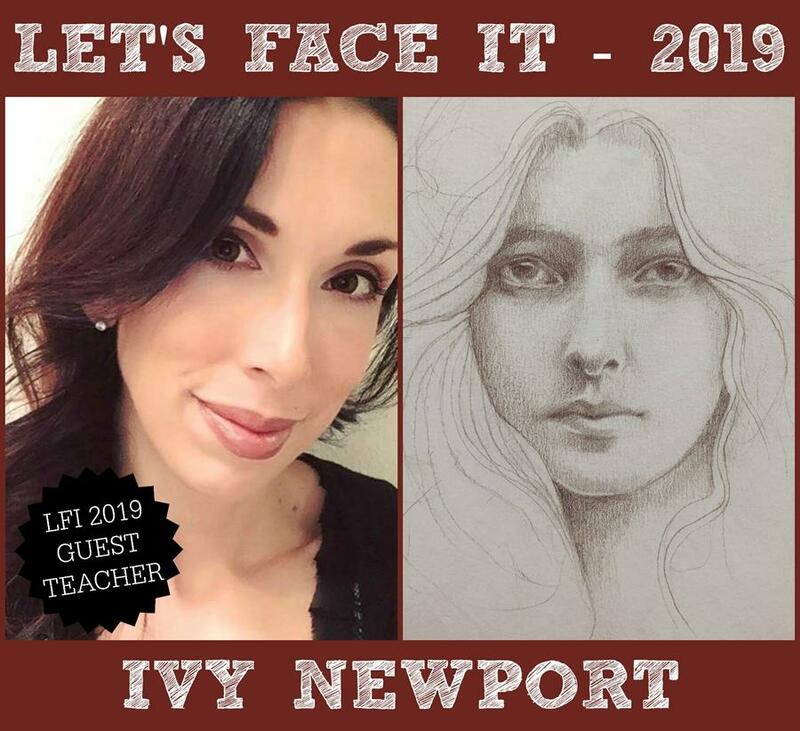 It is for anyone that wants to practice creating portraits and figurative art but is specially designed for those of you that have felt scared or intimidated to do so at some point in your life. In 2019, we will be studying in a whole range of art mediums from charcoal to oil paints and MORE! This course is not open for registration yet! However, you can read more about this course and sign the WAITLIST so that on October 8th you will be the first to know when sales open! I am thrilled to be a part of this amazing team of teachers and guess what else!?!?! I get to give away one free spot in this course to one of you!! 🌟 Like my Facebook page here. 🌟 Leave a comment telling me why you would love to win a free spot in LFI 2019 ! In the meantime, click here and sign the WAITLIST so that on October 8th you can sign up!! I can’t wait to begin this journey with each of you!! !